Thomas A. Fleisher, MD, FAAAAI. The American Academy of Allergy, Asthma & Immunology (AAAAI) is pleased to introduce its 2016-2017 President, Thomas A. Fleisher, MD, FAAAAI. Fleisher was installed last week during the Business Meeting at the 2016 AAAAI Annual Meeting in Los Angeles, California. The AAAAI is the largest professional membership organization for allergist/immunologists, other medical specialists, allied health and related healthcare professionals—all with a special interest in the research and treatment of allergic and immunologic diseases, including asthma. “It is a great honor to begin my AAAAI presidency as this truly represents one of the highlights in my career,” Fleisher said. 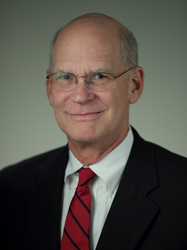 Fleisher is Chief of the Department of Laboratory Medicine at the National Institutes of Health (NIH) Clinical Center, a member of the NIH faculty for the allergy and immunology training program and an Adjunct Professor of Pediatrics at Uniformed Services University of the Health Sciences. He has served as the president of the Clinical Immunology Society and the Robert A. Good Immunology Society and also served on the Board of Directors of the American Board of Allergy and Immunology (ABAI). Fleisher was a member of the AAAAI Board of Directors from 2003 to 2007 and received the AAAAI Distinguished Service Award in 2013. In addition, Fleisher has presented numerous educational seminars in allergy/immunology and serves on the editorial board of a number of journals in the field of allergy and clinical immunology. He has authored or co-authored over 200 articles in scientific journals and penned numerous book chapters addressing clinical and diagnostic immunology. In his research, Fleisher is known as one of the NIH researchers who described and characterized the autoimmune lymphoproliferative syndrome (ALPS) and other lymphoproliferative conditions associated with defective apoptosis. “The theme of my presidential initiatives is ‘Planning for Our Future’ and in this context I have identified four major objectives: facilitate development of the next generation of allergy and immunology educators and investigators; enhance advocacy for and visibility of allergy and immunology; expand the scope of practice for the allergy and immunology specialist; and increase efforts to develop leaders in allergy and immunology. Although not an all-inclusive list addressing every challenge facing the allergy and immunology community, I am confident they provide a framework that will prove advantageous to both practitioner and academician,” Fleisher said. For more information on careers in allergy/immunology or the AAAAI Annual Meeting, visit the AAAAI website. The AAAAI represents allergists, asthma specialists, clinical immunologists, allied health professionals and others with a special interest in the research and treatment of allergic and immunologic diseases. Established in 1943, the AAAAI has more than 6,900 members in the United States, Canada and 72 other countries. The AAAAI’s Find an Allergist/Immunologist service is a trusted resource to help you find a specialist close to home.